Many people who suffer from allergies refrain from living in homes with carpet. Whether it be asthma, eczema, nasal congestion, or rashes, there are certain things that can live in your carpet that will cause allergies to react. In addition to that, people who are borderline allergic can have their allergies triggered and become worse if they constantly live in a home with lots of allergens aggravating the problem. That’s not to say that all the problems are coming from your carpet, it’s just as likely that you could be allergic to the mildew in your bathroom, or the mold in your laundry room circulating spores throughout the house and causing allergic reactions as well. Eliminate Allergens In Your Carpet. 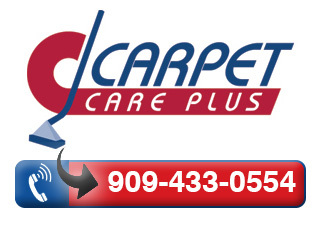 If you are having problems with allergies, especially respiratory, nasal congestion, asthma type allergies, and you think it’s your carpet, the best thing you can do is call up a carpet cleaning professional and have them steam clean your carpet. One of the problems with carpet is that lots of dirt, dead skin cells, floating cooking oils, and pet dander tend to accumulate in the carpet. Then, microscopic arthropods called dust mites, feed on all the organic residue that is accumulated in your carpet, and they leave their droppings in the carpet as well. All of this organic matter becomes a breeding ground for bacteria and molds which put out spores causing even more problems with allergies. When a steam cleaner comes to your house to do your carpets, he’ll move all the furniture out of the way and completely clean your carpets, using high-temperature steam which kill all mold, bacteria, dust mites any the other allergy causing live critters. They also eliminate all the organic matter, dirt, sand and cooking residue that has accumulated over the months as well. Carpet manufactures recommend that you steam clean your carpets once every six months, however if you’re prone to allergies, every three months would not hurt. Steam cleaning your carpets is not a difficult or expensive thing to have done on a regular basis. Once you find a competent carpet cleaner, put them on your calendar and schedule them for regular visits throughout the year, that will go a long ways towards eliminating any allergy problems you may have.